Even bosses need to be shown that they too are appreciated. This is your chance to not only tell but show your boss what you really think of him or her by giving them a unique boss's day gift. 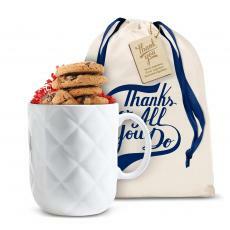 Boss's Day is still months away, but don't be shy to show your appreciation year round with a gift for your boss. 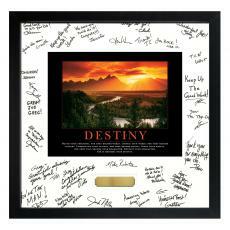 Check out these boss gift ideas from Successories such as personalized gifts, executive gifts, and thank you gifts. 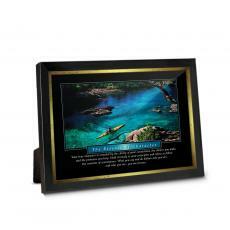 If your boss is retiring, see our selection of exclusive retirement gifts. While narrowing our list down to the top 10 was an achievement of its own, these gift ideas for your boss are just a few items from our wide selection. Flowers are a nice sentiment, but these badges of honor are sure to stand the test of time. 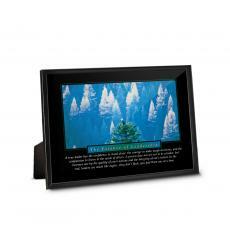 Signature Frames are a great team gift for boss. 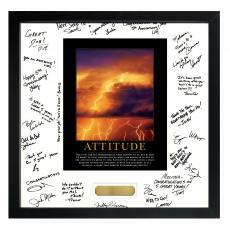 let the whole team express their appreciation by signing a framed motivational print. Nothing is mightier than the pen and their leadership. 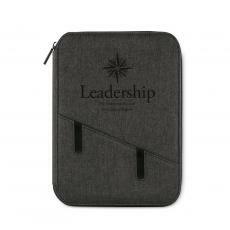 Our executive pens include a enscribed gift case. 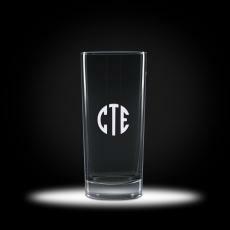 Show your appreciation while keeping them going with their favorite beverage. Our best selling & affordable option for a token of appreciation. 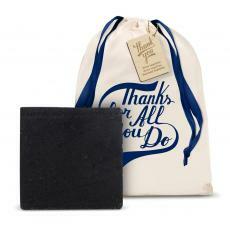 Let your boss unwind & destress at home, while appreciating everything they do for you at work. 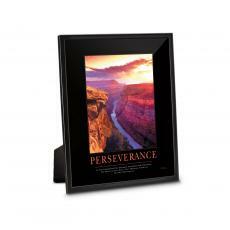 Exceptional work stands the test of time, and so do these gift clocks gifts for your boss. Flowers fade, but the crystal vase with your personalized engraving will be appreciated forever. 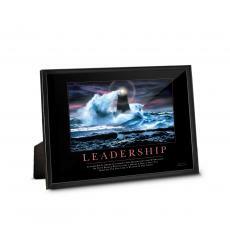 Choose from elegant boss's gifts that shine like their leadership. 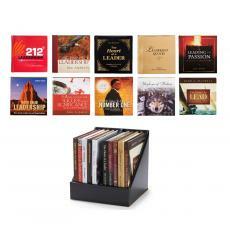 Give your boss a book that will further inspire them & show them what a great leader they are. Motivational office decor is a great way to inspire the boss who inspires you. Employees have many options to choose when deciding how to celebrate Boss's Day. 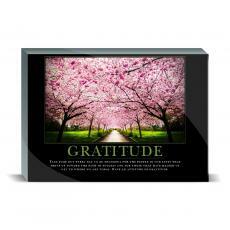 Some of the more traditional ways include writing your boss a simple note or sending them a thank you card. The basic idea is to thank them for their support and express appreciation for the guidance and leadership they provide throughout the year. 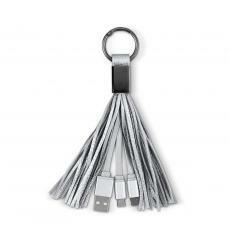 Another option is to go in with a group of coworkers to purchase a special gift or appreciation gift for your boss. 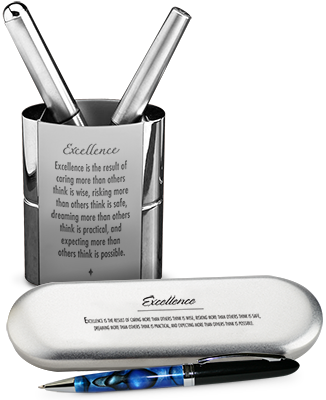 From personalized executive pens to glass and crystal gifts, Successories has exactly what you'll need to put a smile on any executive's face. Being gainfully employed and maintaining good rapport with your boss are huge accomplishments and reasons to be grateful. However, the idea for Boss's Day is also a strategy to help improve the employee-management relationships that exist within an organization. The registrant of National Boss's Day, Patricia Bay Haroski, believed younger employees often did not understand all the hard work and dedication that their immediate management demonstrated each day. Moreover, she believed workers also need to show their boss or supervisor equal acknowledgment, at least once each year. Show your appreciation for your boss's leadership, compassion, mentoring and support! Celebrate Boss's Day on October 16th, 2018. 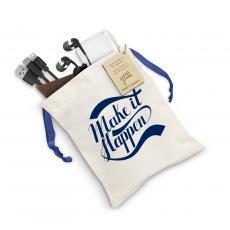 Present him or her with an inspirational gift or a token of appreciation that will reinforce the fact that they have the best team ever! 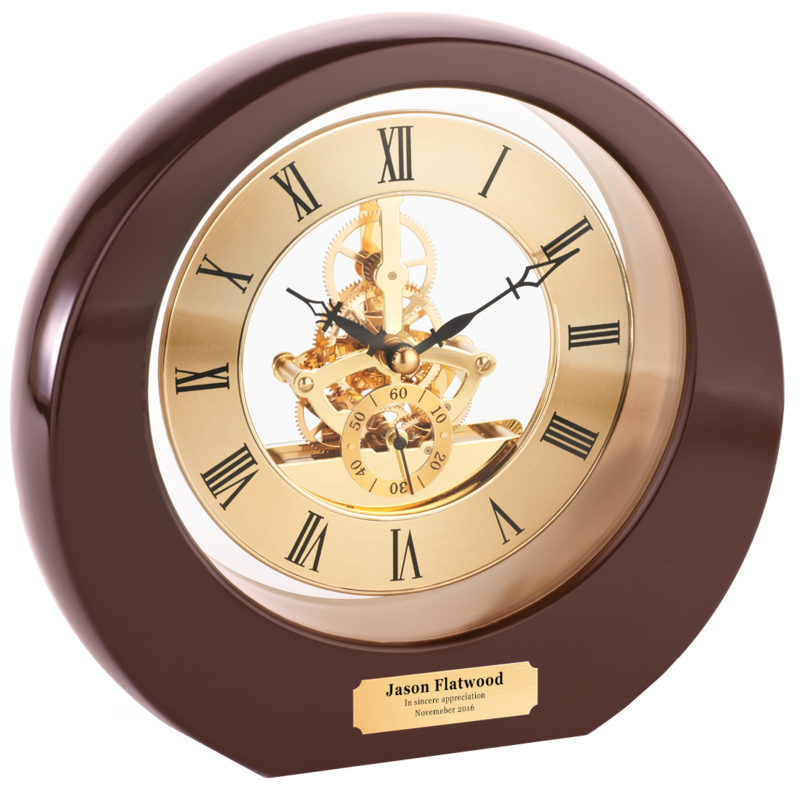 The boss's day gift should be something that is both stylish and functional so that it can be used often and looked upon fondly as a constant reminder of how his or her team appreciates the job he or she is doing. 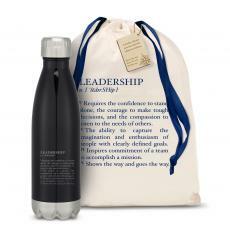 For even more ideas, take a look at some additional leadership gifts options sure to fit any budget. There are numerous surveys that say one thing: Most people have a pretty great boss. The stereotype of the harsh, power hungry boss is, by and large, a misjudgment. Take a look at the numbers as proof. Two-thirds of workers said their managers provide the support they need at work, according to an international survey of 1,200 full-time employees by Business News Daily. An "Emerging Workforce" study completed by Nielsen Consumer Insights and Spherion Staffing showed that 84 percent of employees rate their relationships with a supervisor as either good, great or excellent, according to Forbes magazine. The 2013 Kronos Boss's Day Survey revealed that 69 percent of workers say their managers set an example as ethical, honest, collaborative, creative, empowering, innovative, dedicated and trustworthy workers, and 92 percent of those employees believe their managers stick to those values regularly. Every boss has demonstrated qualities that can be celebrated: Fair, Honest, Understanding, Approachable, A Good Communicator. These are not as difficult to find when an individual puts in a little thought and effort. Management of an organization will discover they need to praise and recognize employees to help motivate them. A supervisor, manager, and other type of boss will come in all sizes and shapes. They can come across as thoughtful, aggressive, insightful, and quiet. Many often choose to lead by example and work to create an environment that is friendly and rewards ambition and loyalty. A good boss is a person who may act as a mentor and be there to listen to complaints. Your manager might deserve some recognition on Oct. 16, but it would be great if there was a little something in it for you too, right? Luckily, there are many different ways you can use Boss's Day to your favor. Here are three that stand out. Improve your Boss-Employee Relationship The first and most obvious reason why celebrating Boss's Day can pay dividends is that it's a surefire way to enhance your boss-employee relationship. If you don't speak on a regular basis, this is a perfect way to break the ice. Not to mention this will give you more face time with the person that could very well decide to promote you later. Show Your Collaborative Chops And the reason for that promotion could be your uncanny ability to collaborate with coworkers. Remember, celebrating Boss's Day isn't a one-worker job. The best way to get in the spirit is to take the lead and engage the team. It may seem like you're just rallying the troops to collect money and feedback for gifts and celebrating, but what you're really doing is showing off your teamwork skills. Combine that with an event your boss won't soon forget and who knows - you could be the next person being celebrated. Boost Morale and Productivity At the end of the day, Boss's Day is a party as well, and nothing can recharge the office's batteries like unwinding a little bit. Moreover, if your plan does improve the relationship between the boss and the workers, that improvement may boost morale and productivity in and of itself. As with any company function, there are a few ground rules you should set before you start planning. First, collaboration is critical. Not only can your fellow employees give you a better understanding of your manager's tastes and preferences based on their own experiences, but they can also lend some valuable assistance in the planning process. You already tackle the day-to-day as a team, don't change course on Oct. 16. That will also make budgeting easier. In most cases, you won't be given any company funds to get a gift for your boss. It would be odd if the manager gave you money specifically to get him or her something, and even if you have a way to charge expenses to a company account, it's likely your boss reviews those expenditures, which would spoil a surprise. Take care when setting a budget with your coworkers. Splitting expenses evenly is often wise. Try finding a gift that your manager will enjoy, then worry about the price. Remember, the gift doesn't need to be expensive. Remember all your other gift-giving tips - It's the thought that counts. Take your boss out to lunch with your co-workers. Splitting the bill among you makes this an affordable activity. 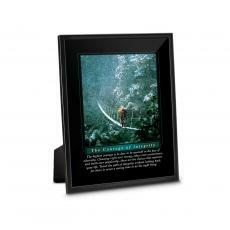 Present him with an inspirational gift or a token of appreciation that is work appropriate. The boss's day gift should be something that is both stylish and functional so that it used often and looked upon fondly as a constant reminder of how his or her team appreciates the job he or she is doing. Finally, try not to make any risky decisions with your gift choice. Keep the professional atmosphere intact. Gag gifts might get a few laughs but tread lightly. You don't want to take the wind out of your manager's sails on his or her special day. 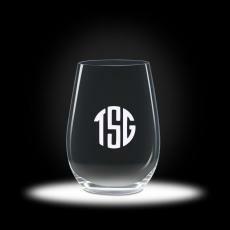 Still not sure which item suits your boss or reflects you or your work group's sentiment best? Never fear, take a look at some of the high-quality reviews and ratings our other customers have reported to be their personal favorites. What's going to leave a lasting impression on the boss? Every person is different, but here's some advice that can make your gift truly special and effective. 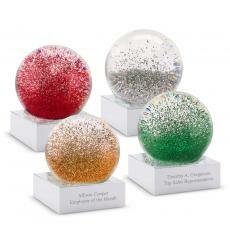 Take your time deciding, and get something the whole workplace will agree fits the holiday and your manager's preference. We gave this to our boss who was retiring after 28 years. The words described exactly how we feel about him. It brought tears to everyone's eyes that read it. from Chukar of Challis, Id. It makes an nice service award gift. When is Bosses Day? October 16th - Now what?